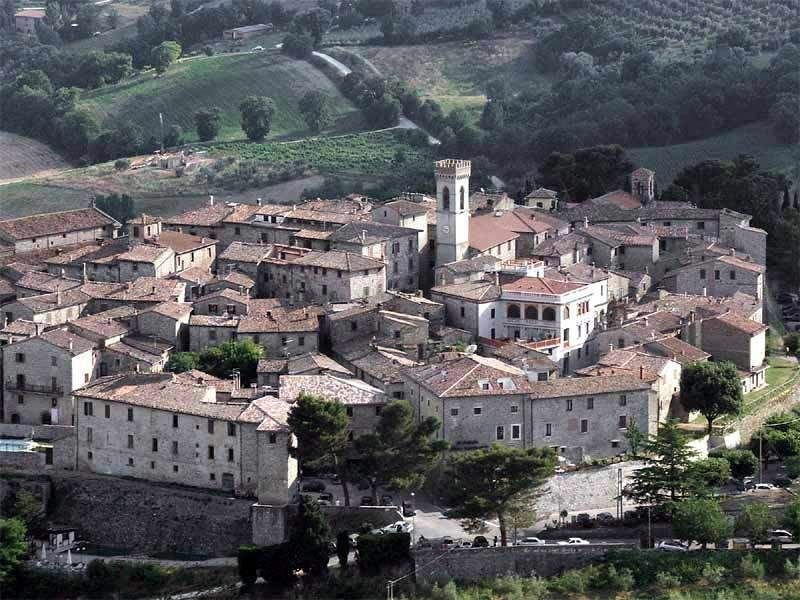 The tiny Monte Castello di Vibio is just a 20 km-drive from Todi and very near tothe SS3B-E45 connecting Perugia and Terni. Its little theatre accounts for most of its appeal, along with the precious views. 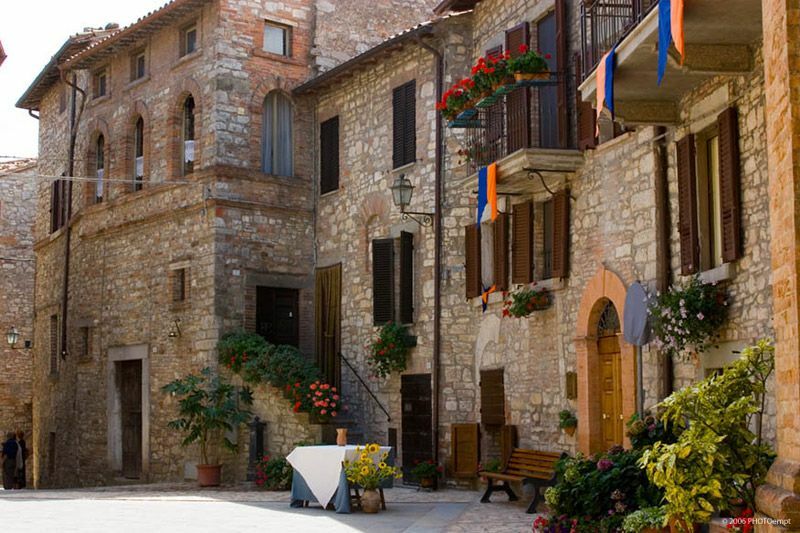 The tourist information office is located on Via Roma 1 behind the little theatre. Teatro della Concordia is the smallest theatre worldwide. It has a seating capacity of 32 on the main floor and 67 in the stalls. The theatre was erected in 1808 following the decision of some families of town to try and give their people more cultural activities. Four decades later frescoes were painted for decoration. The first play was Gina Lollobrigida and it has continued ever since only thanks to the determination of the town residents who chose to pay higher taxes to fund it since its income was not sufficient. The Theatre of Parma, one of the largest in the world, and this one, the smallest, combined efforts to stage a series of performances which are put on all year long. Upon request the theatre can also be visited. 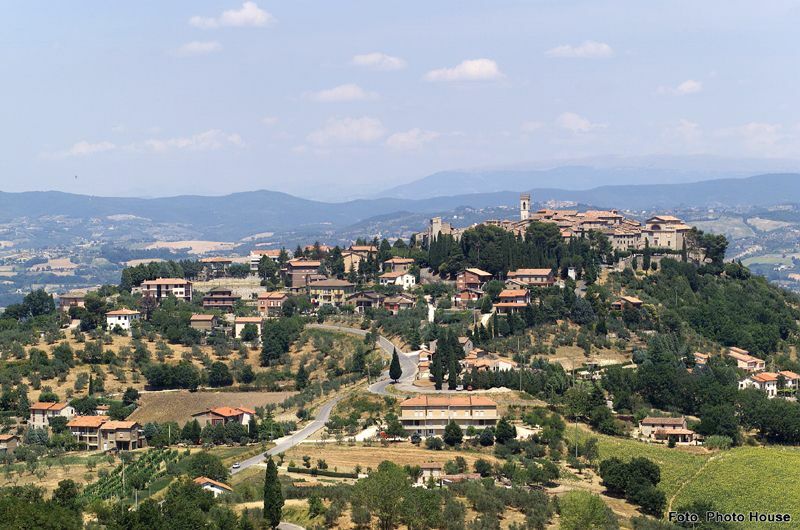 BY CAR: Go along the SS3-E45 from Todi to Perugia as far as the Monte Castello di Vibio sign. Take this exit and continue for 40 km as far as the roundabout and turn left here. Monte Castello di Vibio is on the S397 half way between Todi and Masciano.